Arkansas’ oldest same-family-owned restaurant isn’t a barbecue shack, or a hamburger joint, or even a steak place. It’s a cafeteria. That may sound pedestrian, especially in this age of Luby’s and Ryan’s and sorts. But when you’re talking about Franke’s, you’re not talking about institutional food. You’re talking about some of the finest Arkansas cuisine to grace a menu. Franke’s didn’t start out as a cafeteria. It was first a bakery, sort of a hole in the wall joint that served up doughnuts and such downtown in 1919 by C.A. Franke. Five years later, the first cafeteria under the name was opened at what’s now Capitol between Main and Louisiana. There were (and still are) other locations. The one I remember from my youth was in University Mall next to Osco Drug, across from Montgomery Ward’s. It was there from before I was born until right before the Mall was sold off and demolished. I can remember standing in the Nut Hut and looking across through the windows at all the diners in the fancy wood-paneled-and-curtained dining room, thinking how fancy everyone was. There is still a location downstairs in the Regions bank building… during the times in my life where I worked temp jobs to supplement my fledgling radio career I’d grab my tray and join the masses, picking up roast beef and peas and egg custard pie to consume before returning to the dredgery of my day. 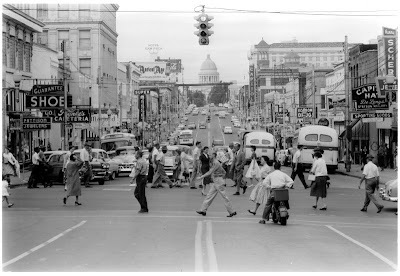 These days, though, there’s no University Mall, and I tend to haunt West Little Rock more than downtown. Which is fine, since there’s a Franke’s on Rodney Parham in the Market Street Shopping Center. From the exterior, it’s unimposing; inside, it’s well-appointed and clean, just as fancy if not fancier than most of your mid-range restaurants. And best of all, it’s reverently quiet. It’s still a cafeteria -- not a buffet. You head to the end of the line, grab a tray and cloth-wrapped utensils, and choose the dishes you would like with the help of smartly attired attendants. And there’s all sorts of foods. In the salad section alone you could get lost without a guide. Sure, there’s the traditional restaurant-style lettuce and cucumber and tomato salad with dressing you can order up; there are also a plethora of Arkansas-friendly salads, too -- like carrot salad, marinated salad with onions and tomatoes and cucumbers (strangely similar to Indian Kachumber salad, but I digress), blackeye pea and pepper salad, Ambrosia salad, green bean salad, pea salad… and at least six types of congealed salad. There are beets and peaches and okra of varying sorts. Entrées vary by the day, but there’s usually always roast beef and ham and fried chicken and roasted chicken and hamburger steak. I’ve seen chicken croquettes and baked catfish and fried catfish and pepper steak with onions and cabbage rolls and pork chops. More sides than you can shake a stick at -- cabbage with ham, green beans with bacon, corn in oh so many preparations, rice, mashed potatoes, fried potatoes, umpteen types of beans and peas, carrots, mac and cheese… and if you’re really lucky, sweet potato casserole. Or even better, eggplant casserole. There are white bread rolls and wheat bread rolls and regular cornbread and Jalapeno cornbread full of corn and pepper bits. And then there’s pie. 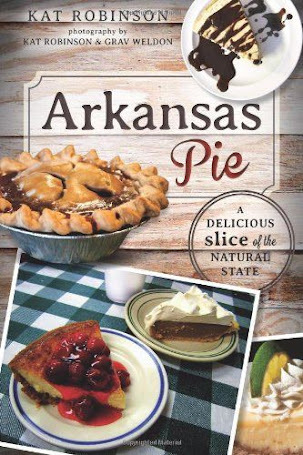 The one thing that about 95 percent of all Arkansas restaurants I have visited have is some variation on pie -- fried, meringue, cream, berry, whatever. 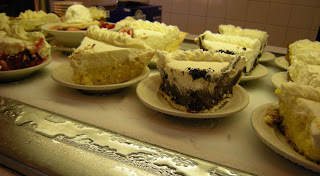 Franke’s has more pie than you can shake a spoon at, more than you can eat in a week, more than you can conceive of in a sweet luscious dream. There’s pecan and sweet potato and sometimes pumpkin and egg custard (which is famous) and lemon meringue and brownie pie and that’s just some of the hot ones. There’s banana cream, chocolate cream, lemon cream, coconut cream, cinnamon cream, strawberries and cream, and heaven knows what other types of cream. And cobbler. Dropped by the other day with a couple of traveling companions who’d never been. I believe they were expecting something closer to the retail buffet experience. Instead, we sat down after choosing what we wanted and watching it be plated up for us… and enjoyed one heck of a fine dinner. 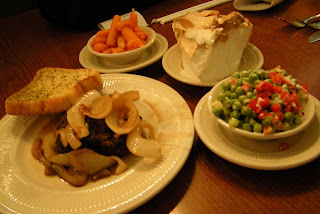 One chose the hamburger steak with onions, with a hearty slice of Texas toast and carrots that weren’t too mushy and some of that cool pea and pimento salad. The other went for a roasted and herbed chicken leg quarter with mac and cheese and a wheat roll and a traditional salad. 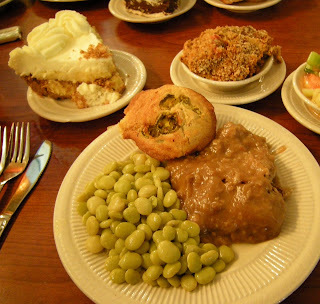 I went for what I consider to be real Arkansas home cookin’ -- smothered hamburger steak, butter-baked Lima beans (too bad they didn’t have any butter beans or purplehull peas that day), Jalapeno cornbread, eggplant casserole and marinated salad. Way too much to eat, but just a jaunt down memory lane. Any bit of that meal coulda been served up to me by either side of my southwest Arkansas family years ago. This is the sort of food that I was raised on. Of course we had dessert. One companion’s lemon meringue pie was a beautiful homemade construction with a huge head of meringue that blended well with the baked lemon custard below. I get so nervous sometimes when I see the day-glow yellow lemon filling in meringues at places; to see it here, a gorgeous egg-yolk yellow with savor and heft and not that overbearing-oh-dear-Lord sweetness is comforting. My other companion didn’t even bother to offer me a taste of his custardy-rich chocolate cream pie, go figure. I shouldn’t complain. I went for one of the house favorites, not the egg custard but the cinnamon cream pie, layers of ever-richer cream and custard on top of a loose brown sugar and crumb crust. The top layer is almost completely beaten cream with a touch of cinnamon, but each layer below more custard is folded in. Rich as all heck, too -- and begging for a cup of hot coffee. And that’s the thing at Franke’s -- service doesn’t end when you pass through the register section at the end of the tray line. A porter will come take your tray as soon as you sit down, so you’re not left trying to find a place for it on your table. They’ll even carry your tray for you if your hands are full or if you need help. A kind waiter will drive a cart by every once in a while with refills on coffee and tea and take-home boxes. Other waiters will check on your soft drink. And there is no rush. Take your time. Enjoy your conversation. You can pay up when you leave. There is one disappointing thing to me… I took my daughter with us, and if you don’t count her I was easily the youngest person in the restaurant the afternoon we went. I don’t know why there weren’t more members of my generation there -- I hope it was just a fluke. 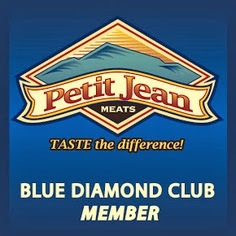 But I’d hate to see something happen to this 90 year old local restaurant franchise, especially if folks stop coming. They don’t know what they’re missing. Kat, I have been reading your posts through the AR Times blog for some time now but never get around to posting. 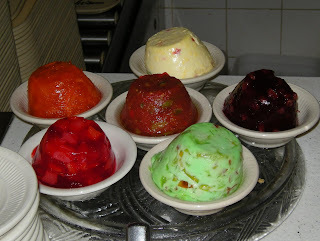 I just wanted to say that I enjoy your work, and thanks for finding great places to eat and writing about them. I've never been to Frankie's and I've lived in this area for 15 years now! I think that is about to change--after looking at your pictures, I'm ready for some pie. Keep up the good work on Tie Dye Travels and the AR Times blog! The one I remember from my youth was in University Mall next to Osco Drug, across from Montgomery Ward’s. It was there from before I was born until right before the Mall was sold off and demolished. I can remember standing in the Nut Hut and looking across through the windows at all the diners in the fancy wood-paneled-and-curtained dining room, thinking how fancy everyone was. Anyway! Haven't been to Franke's in years. Obviously I'm long overdue! 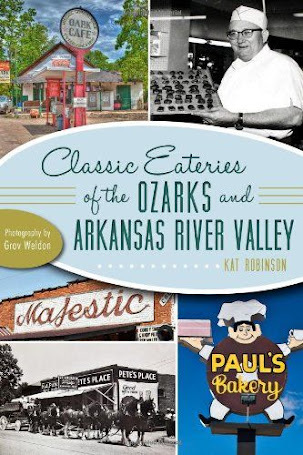 "Arkansas’ oldest restaurant isn’t a barbecue shack, or a hamburger joint, or even a steak place. It’s a cafeteria." Umm, opened in 1919, I believe Lassie's Inn Catfish was opened before 1910 which would make Frankie's not even the oldest restaurant in town. I do love Frankie's, but do your research before making such statements, maybe "One of Arkansas' oldest..."
I do read many of your reviews and like that you do go off the path, but have you ever eaten anything you didn't like, your a food critic, yet you hardly ever have anything critical (even helpful criticism) to say. Just some helpful criticism from a reader. I like Franke's but I loves Bryce's Cafeteria in Texarkana! The best cafeteria - great Southern food; just somehow 50% tastier than Franke's. Must put crack in it? A required stop on the way to Dallas. Franke's IS the oldest Restaurant in Arkansas. What you must keep in mind is that many restaurants are bought and sold to different owners. Franke's was started by C.A. Franke, continued by W.J. Franke, and is now owned by W.K. Franke and is still up-and-going with the help of his daughter C.C. Franke. Really enjoyed the article. 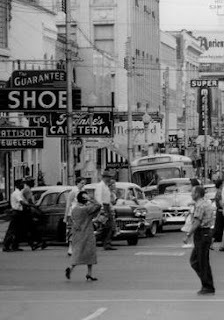 The downtown has a much younger crowd than the West Little Rock location, so you need not fear about the newer generation being exposed to good old fashioned food! Juice, it's taken me five years to think what I need to say here. I'm a lot of things. I love to write about food and the people who make it. I like exploring, and with the exception of a single vegetable, I just really like food. When I have a bad experience at a locally owned restaurant, I usually just don't write about it. I've learned that one bad word can shut a small place down -- and that means no income for owners and employees alike. That's a power I really don't want to wield. I'm also constantly learning more information. I've changed the intro to this piece. Franke's is not the oldest continuously operating restaurant in Arkansas, but it is the oldest such restaurant still operated by the same family that can clearly be documented (Jones Bar-B-Q Diner in Marianna, which used to be known as The Hole In The Wall when it was located downtown, has no firm start date on record but may be up to eight years older). That's a claim Lassis Inn cannot make on either front -- having moved and not operated for some time between its initial 1905 inception and its 1931 opening on 27th street. Since this blog was written, I've driven a lot of miles and done a lot of research. 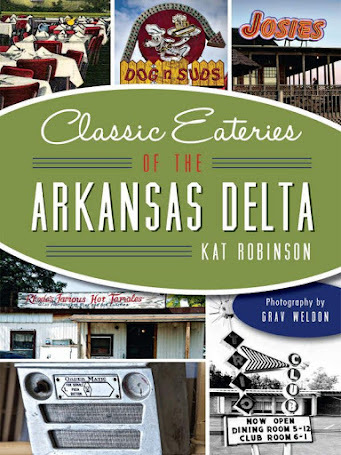 The research has become such a passion for me that I've left my day job just to spend my time uncovering the histories of Arkansas's restaurants and exploring its foodways -- and sharing them with others. I may not have seemed like much five years ago. Frankly, I didn't really think I was an expert five years ago. I'm not the be-all, end-all expert now, but I'm working on it. I'm learning every day. 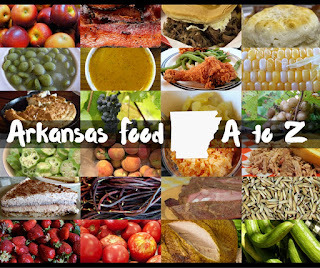 I appreciate the support, and encourage you to keep dining at Arkansas's great restaurants. Pick up one of my books if you feel like it -- there's a lot in those that I haven't included here -- and above all, thank you for reading my blog.